With 2016 on the horizon, we’re keeping our finger on the fashion pulse and an eye on the hottest up and coming trends for the new season. Prints are huge every spring, and it looks like next year will be no exception. From polka dots and stripes to pretty florals and animal prints, patterns and prints will be everywhere from the catwalk to the high street. Whatever the style, no wardrobe is complete without a print or two. Patterns have stood the test of time because they add interest and colour to a plain outfit. 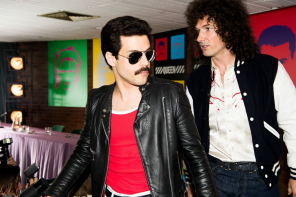 It’s not just clothing that will be covered in cool patterns and print in 2016 though. If you’re eager to embrace the printed trend, you can get the look with eclectic eyewear. Why not ditch plain colours and showcase your individuality with a pair of patterned frames? 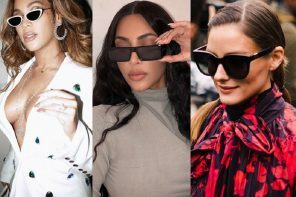 Here are some of the most popular prints for glasses next season. Animal print never goes out of style. From leopard to tortoiseshell, it’s chic, sophisticated and has a little bit of a wild side. While animal prints are technically a pattern, their muted, natural tones mean that they act like a neutral and are easy to style with other items. However, the print can be quite bold and eye-catching, so the best way to wear it is in small doses like accessories. One of the best ways to update your eyewear collection for 2016 is to add a contemporary edge to your look with animal print glasses, such as the Savannah 2444 (above.) 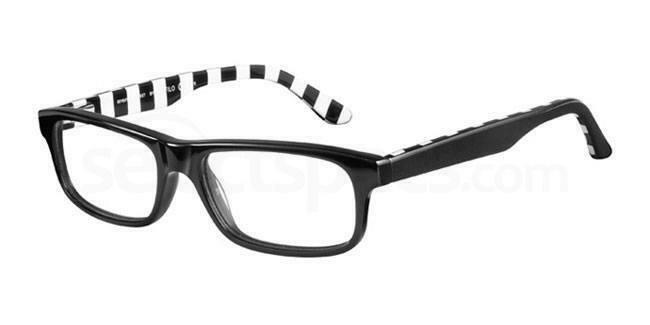 This classic pair of wayfarer specs features an animal print pattern on a semi transparent frame for a fierce look. 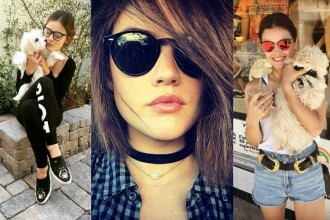 For a more high end take on this trend, check out Bobbi Brown’s THE LILY glasses (above). 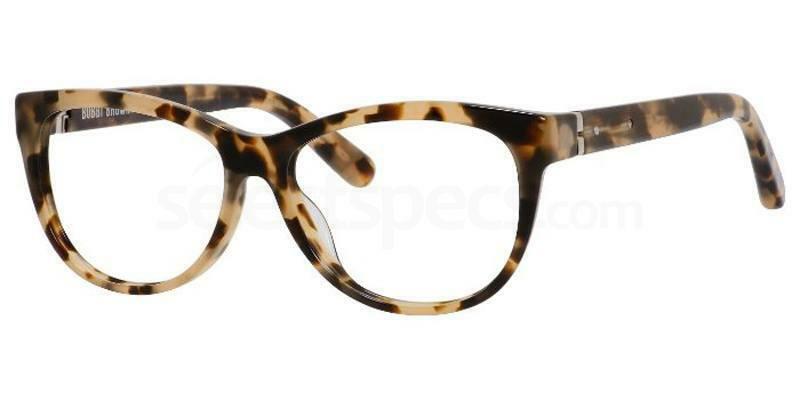 These stylish specs have rounded cat eye frames finished in a brown Havana tortoiseshell pattern. This versatile style will suit most face shapes and add a trendy touch to any outfit. 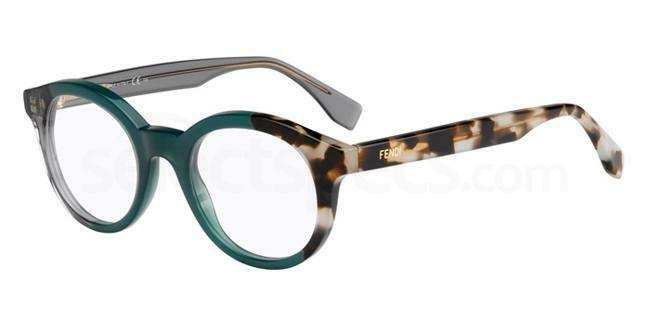 The Fendi FF 0067 is a subtle take on the animal print trend, with patterned arms and teal green frames. Pair these gorgeous glasses with an all black outfit or mix prints for an on-trend look. As Miranda Priestly said in The Devil Wears Prada; “Florals for spring? 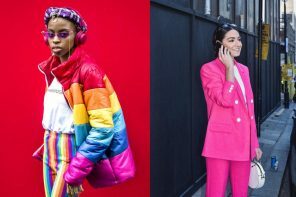 Groundbreaking.” It may not be new, but fashion has an on-going love affair with florals and it’s easy to see why; flower printed clothes and accessories add a feminine touch to an outfit and freshen up your look. Gorgeous, girly and made for spring, floral prints are a must-have for next season. Get the floral look in 2016 with a pretty pair of flowery frames. 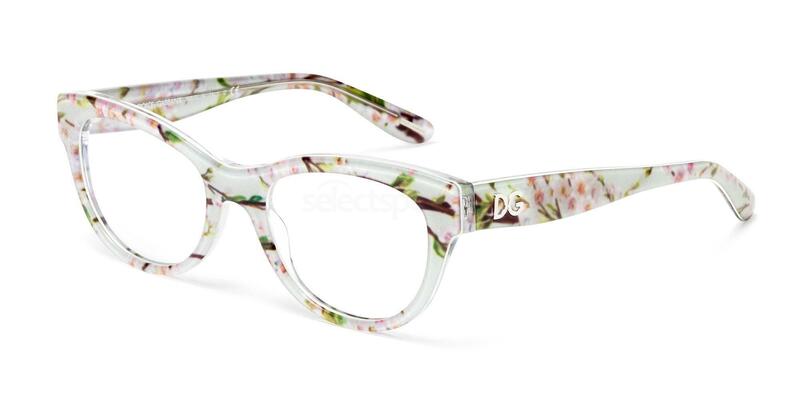 Nobody does this style better than Dolce & Gabbana; just take a look at the Dolce & Gabbana DG3203 Almond Flowers frames (above.) 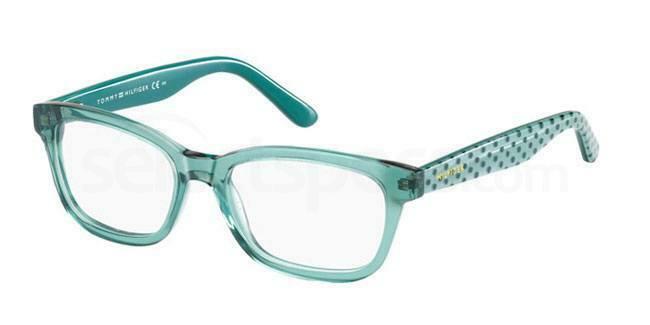 These glasses feature a pastel peach and aqua print for a soft and super flattering look. If you’re looking for a great new pair of sunglasses for the spring, the Dolce & Gabbana DG4190 LACE (above) will help you to embrace the floral look everyday. 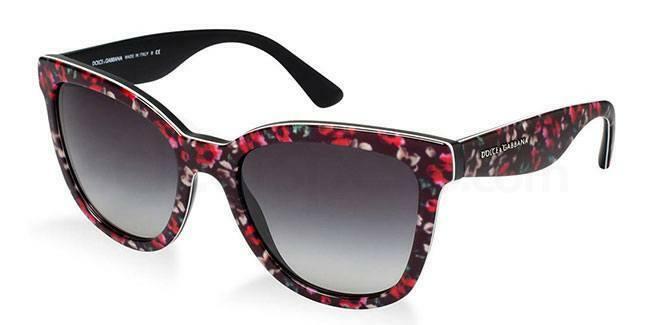 This bright and blossoming pair of shades features a floral print on a black frame with gradient lenses. Shake off your inner wallflower and stand out from the crowd in this bold and beautiful pair of glasses also from Dolce & Gabbana. 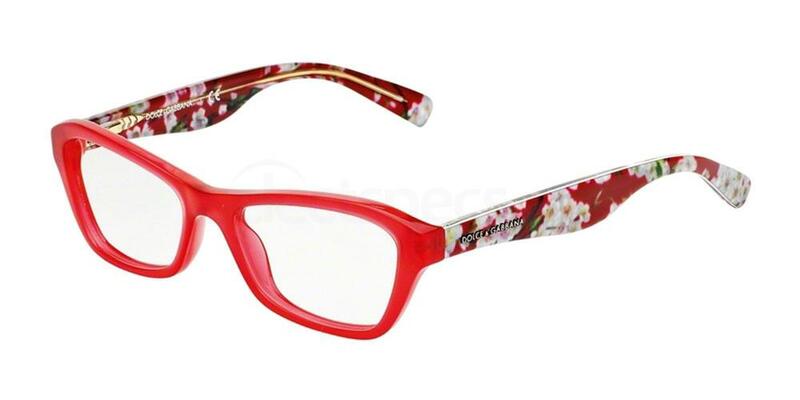 The Dolce & Gabbana DG3202 glasses (above) combine floral print arms with bright red frames for a fun and colourful finishing touch to an outfit. 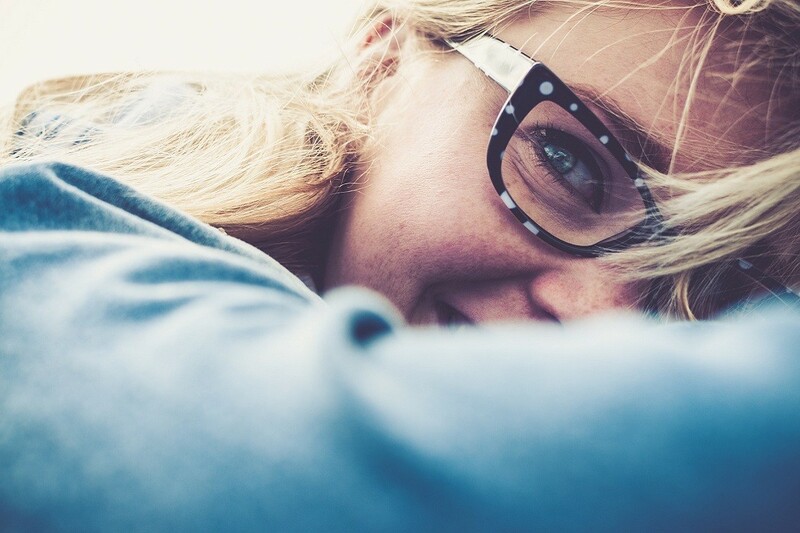 If you’re crazy about polka dot prints, embrace the look through your eyewear. 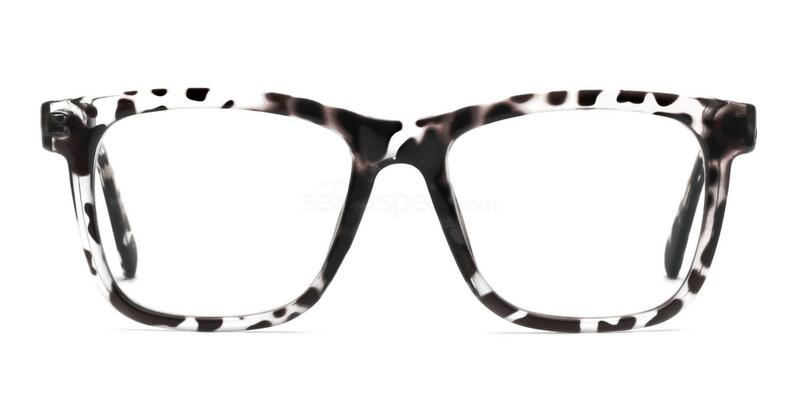 Spotty frames are so on trend for next season, whether you choose coloured dots, or classic black and white such as the Christian Lacroix CL1027 glasses (above.) 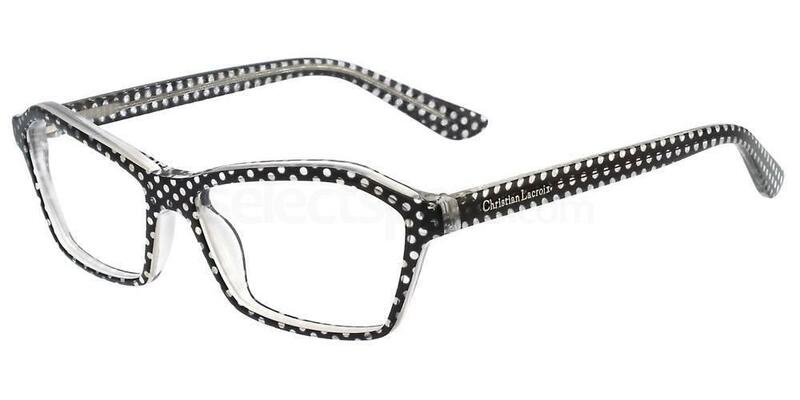 These fabulous frames feature mini monochrome spots. Alternatively, the Tommy Hilfiger TH 1276 (above) puts a cool and colourful twist on the polka dot print, with semi transparent blue frames and spotted arms. The soft shade and subtle touch of print makes them easy to style with other colours and patterns. Large white polka dots on black have a distinctly retro vibe about them. 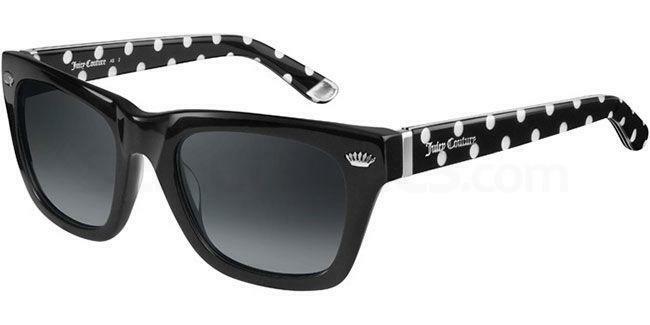 Get the look with the Juicy Couture JU 548/S designer sunglasses (above), which feature over-sized wayfarer frames and printed arms. Last but certainly not least, stripes are the epitome of style when it comes to prints. After all, breton stripes are the staple of a chic Parisian wardrobe. Stripes can be worn all year round and never go out of style. The great thing about stripes is the variety of styles they come in; black and white, coloured, thick, thin, vertical or horizontal, the choice is endless. 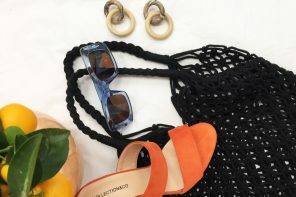 While stripes are easy to wear (simply throw on a striped shirt for an effortlessly cool look), there’s nothing better than striped accessories to add an unexpected pop of print to an outfit, and the same rule applies to eyewear. Shake up your look for the new season with a pair of striped glasses in 2016. 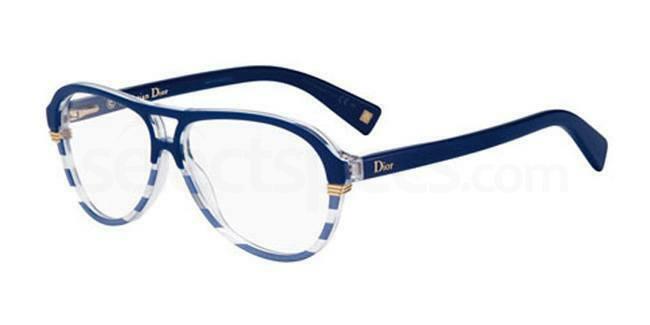 One of our favourite pairs is the nautical-inspired Dior CD3234 (above.) 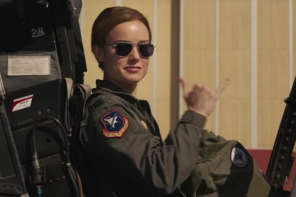 These aviator shaped frames feature sailor-chic blue and white stripes. If understated style is more your thing, you can still embrace the striped look. The Safilo S 234 glasses (above) feature classic black rectangular frames, with a contemporary black and white stripe print hidden inside the arms for a subtle peak of print. Finally, when the sun is shining, inject some colour into your look with these bold and bright sunglasses. 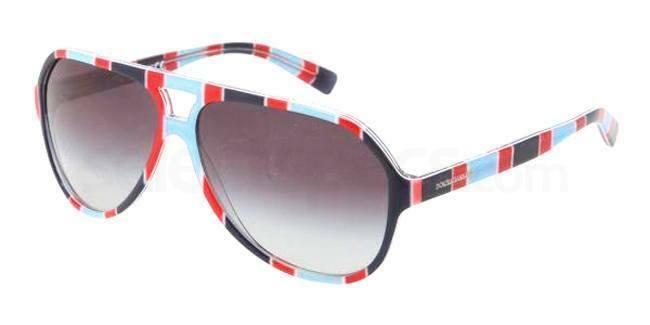 The Dolce & Gabbana DG4182P sunglasses (above) feature a colourful candy-striped print in red and blue. Patterned and printed glasses are the perfect way to update your wardrobe for 2016, whether you choose classic stripes or fun florals. 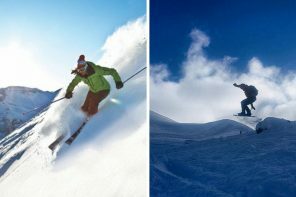 Which of these four fabulous prints is your favourite? Let us know in the comments below!